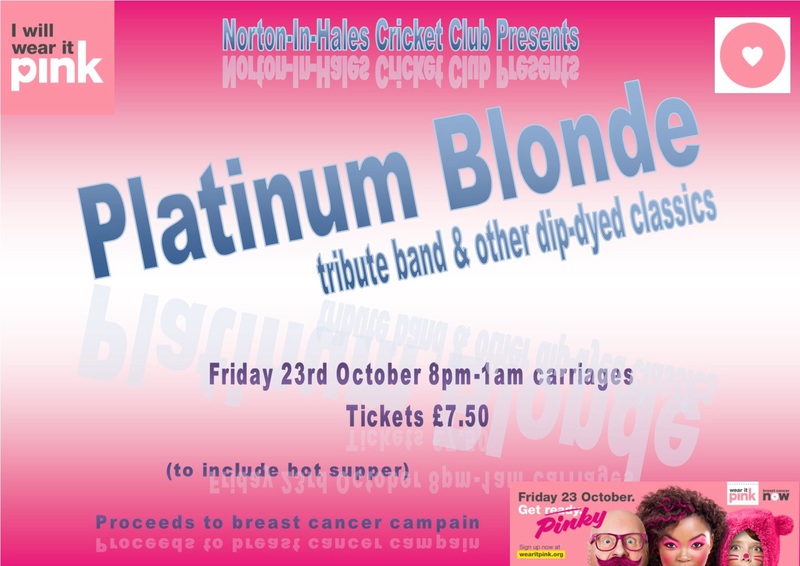 Party time soon… Dust off your Pink frocks & accessories as the Breast Cancer Awareness Evening is nearly upon us! Remember – Real men wear Pink! Breast cancer awareness night. Over £300 raised. Band, Platinum Blonde UK, really good. Beller’s dancing awesome. Roly on vocals – don’t give up the day job Roly. Green Monkey on form. Thanks to everyone who made it a good night!